0.80 acres, Rappahannock Magisterial District, Essex County, Virginia shown on a certain plat of survey dated July 9, 2008 made by D & M Surveyors to which plat reference is hereby made; fronting on the Rappahannock River and bounded by Grandview Drive on the south. This property is located 10 miles south of Tappahannock, Virginia, 52 miles east of Richmond, 56 miles south of Fredericksburg and 100 miles south of D.C. The lot has good elevation, a bulkhead and beach area with ± 82 feet of frontage on the river. This area provides excellent boating, freshwater and saltwater fishing. The cottage is ± 1149 sq. ft. and was built in 1940, utilizing wood frame construction on piers. There are 2 bedrooms and 1 bath that are served by an on site septic system. Heat is provided by a propane furnace. The existing well serving the property is not located thereon and does not convey. A new survey of the property is complete. Inspection by appointment. Terms of sale: Cash, 10% deposit the day bids opened. Balance at closing no later than 30 days from bid opening. Conveyed AS IS. Bids may be mailed or hand delivered to the undersigned who will open them on Thursday, August 28, 2008 at 3:00 p.m. reserving the right to reject any and all bids. This lot is located in Essex County, Virginia www.essex-va.org. 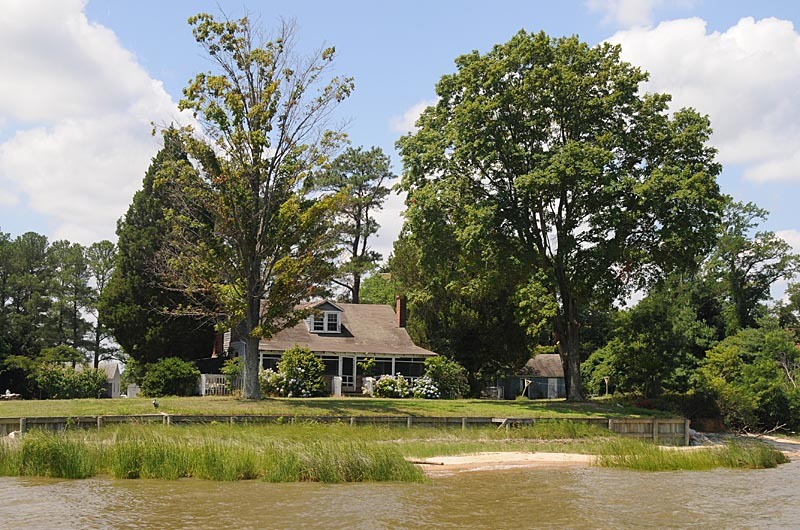 With a population of approximately 8,000 Essex County is relatively unspoilt and still has the country lifestyle, but is still within an hour driving of Richmond or Fredericksburg, 2 hours from Washington DC, Baltimore or Virginia Beach. Tappahannock, www.tappahannock-va.gov is 10 miles from these lots, serves as the focal center of Essex County and many of the surrounding counties. It has all the facilities such as hospitals, doctors, schools, movie theatre, Walmart and Lowe's SuperCenters, restaurants where to eat , hotels where to stay, many antique and gift stores, museum and historic district. Check the map of the local area and driving directions.